Brian Farrell cashes in more than 50,000 shares for a very modest return. Right before a company collapses, it's not uncommon to read of executives cashing out their stock in advance, raking in millions of dollars just before the share price tanks. That's not the case with former THQ CEO Brian Farrell: last week, he earned himself a comparatively meager $3,000 when selling his total holdings in the company. A filing with the United States Securities and Exchange Commission was posted on THQ's investor relations website, which shows that Farrell sold off 50,481 THQ shares at the rock-bottom price of $0.058 per share. That works out to be just shy of $2,928 for Farrell's 21 years at the company. 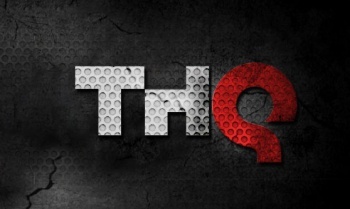 THQ reported its highest annual sales figures and net profits ever in 2007, where its share price reached highs of up to $34.10 per share. Unfortunately, the company couldn't maintain their success: products such as the uDraw GameTablet and lackluster releases such as Homefront took their toll on the company's finances, and studios closed one after the other. After attempting a "reverse stock split" to push the price of the shares up to stay on the NASDAQ, the stock finally crashed in November 2012 by more than 47% after a poorly received earnings call and a lack of guidance by the THQ business on how to rejuvenate sales and keep the company afloat. After defaulting on loans and throwing in a last ditch effort with Humble Bundle, the company finally filed for Chapter 11 bankruptcy, and most of its IPs are in the hands of other publishers and developers. In regards to the asset auction, Farrell commented: "Although we (THQ) will no longer be able to work together with a unified mission, I am confident that the talent we have assembled will continue to make an impression on the video game industry".